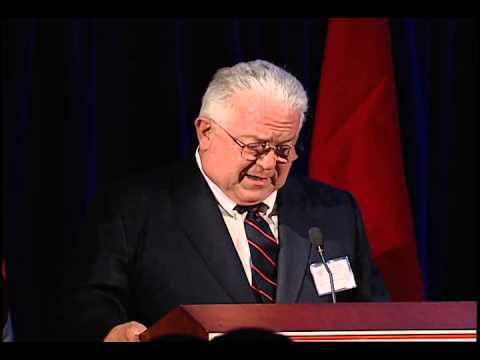 The following is an edited transcript of remarks by Chas W. Freeman, Jr. to the Middle East Policy Council’s 71st conference on Capitol Hill about U.S. policy towards Israel and Palestine. Ambassador Freeman is the president of Projects International and the former U.S. Ambassador to Saudi Arabia. Over the past half-century or so, the United States has pursued two main but disconnected objectives in the greater Middle East. On the one hand, Americans have sought strategic and economic advantage in the Arabian Peninsula, Persian Gulf, and Egypt; on the other, support for the consolidation of Israel. These two objectives have consistently taken precedence over the frequently professed American preference for democracy. Rather than seek an integrated policy framework, America has balanced the contradictions between the imperatives of its domestic politics and its interests. For many years, Washington succeeded in avoiding having to choose between competing objectives. With wiser U.S. policies and more judicious responses to them by Arabs and Israelis, Arab-Israeli reconciliation might by now have obviated the ultimate necessity for America to prioritize its purposes in the region. But the situation has evolved to the point that choice is becoming almost impossible to avoid. The definitive failure of the decades-long American-sponsored “peace process” between Israelis and Palestinians and other Arabs adds greatly to the uncertainty. Whether it yielded peace or not, the peace process made the United States the apparently indispensable partner for both Israel and the Arabs. It served dual political purposes. It enabled Arab governments to persuade their publics that maintaining good relations with the United States did not imply selling out Arab or Islamic interests in Palestine, and it supported the U.S. strategic objective of achieving acceptance for a Jewish state by the other states and peoples of the Middle East. Washington’s abandonment of this diplomacy was a boon to Israeli territorial expansion but a disaster for American influence in the region, including in Israel. Over the years, America protected Israel from international rebuke and punishment. Its stated purpose was the preservation of prospects for a negotiated “two-state solution” that could bring security and peace to Israelis and Palestinians alike. Years ago, every member of both the Arab League and the Organization of Islamic Cooperation endorsed this objective and pledged normalization with Israel if Israeli-Palestinian negotiations succeeded. In response, Israel spun out its talks with the Palestinians while working hard to preclude their self-determination. It has now succeeded in doing so. Israel does not seem to care what its neighbors or the world think of it. Despite its geographical location, it prefers to see itself as its neighbors do: a Hebrew-speaking politico-economic extension of Europe rather than part of the Middle East. Nor does Israel appear concerned about the extent to which its policies have undermined America’s ability to protect it from concerted international punishment for its actions. The United States and Israel’s handful of other international supporters continue to have strong domestic political reasons to stand by it. Yet they are far less likely to be able to hold back the global movement to ostracize Israel than in the case of apartheid South Africa. America may “have Israel’s back,” but—on this—no one now has America’s back. For a considerable time to come, Israel can rely on its U.S.-provided “qualitative edge” to sustain its military hegemony over others in its region. But, as the “crusader states” established and sustained by previous Western interventions in the region illustrate, such supremacy, especially when dependent on external support, is inevitably ephemeral – and those who live exclusively by the sword are more likely than others to perish by it. Meanwhile, as the struggle for Palestinian Arab rights becomes a struggle for human and civil rights within the single sovereignty that Israel has de facto imposed on Palestine, Israel’s internal evolution is rapidly alienating Jews of conscience both there and abroad. Israelis do not have to live in Palestine; they can and do increasingly withdraw from it to live in diaspora. Jews outside contemporary Israel are coming to see it less as a sanctuary or guarantor of Jewish security and wellbeing than as a menace to both.